A collection of silk-look rugs woven in traditional and elegant design. This range is machine woven from artificial silk. The pile is thin like a handmade silk rug but extremely dense and heavy in weight. 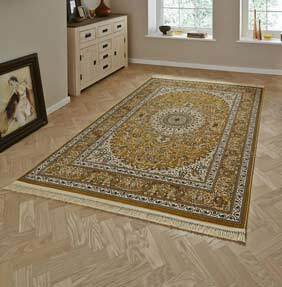 Regal rugs are hard-wearing, practical and super beautiful. The pile gives a lovely sheen and reflects the light which gives a unique and glossy silk like look, just like a real 100% silk rug.